Howdy all! Dave here from Eurocharged ATX! I just wanted to take a few minutes to give everyone a quick rundown on our kit... what it includes, what it does, how you install it, etc. This will also serve as a place to ask and get answers for any questions you have about it. 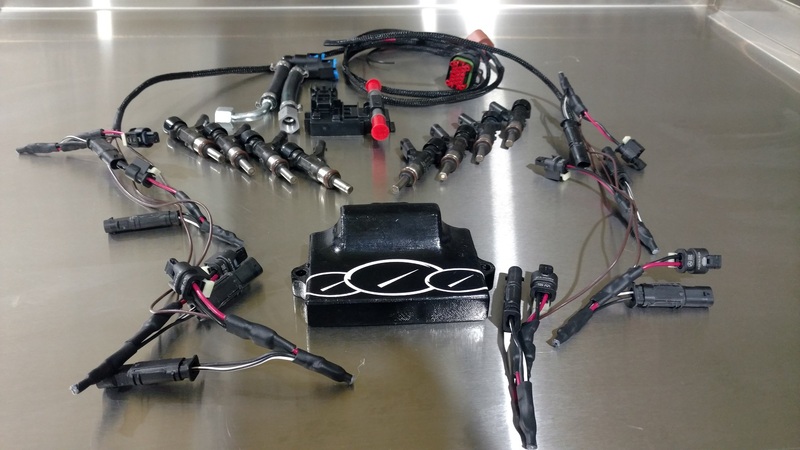 Once you have replaced your injectors, re-installed the rail and run the harness (it plugs in using factory connectors at each injector), remove your factory fuel line and replace it with the fuel line I provide with the Ethanol sensor installed. After that's done, find a suitable place for the controller (it's engine bay safe/waterproof), finish running the harness, and plug it it. last thing to do is hook up the ground. There will be a single eyelet to secure under the ground lug on the shock tower. Just like that, you're done. Always be careful with fuel, but besides that, its a walk in the park and should take no longer than an hour and a half. I can install a complete kit in about 30-45 minutes. Why even do it? Because you are leaving loads or power on the table and wasting the full potential of your car by not using it. The system is 100% flex... this means that you can run ANY mixture of E85, 93/91, E98, Ignite Racing Ethanol, at any time...with NO changes to the tune, and NO check engine lights. On a 2012 C63, we made 477whp on: Tune, ROW, Drop-Ins, Flex System (70%). With headers and some extra changes to the tune, that same car makes 525whp/500wtq (also took the top spot on DragTimes) at 477 it trapped 119.9 mph, and the tracks have been closed for the winter... so no testing at the new power level. 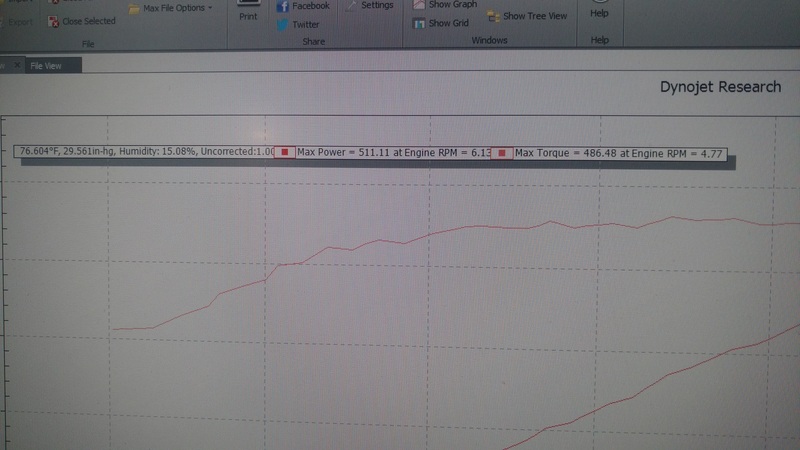 We also have a W211 E63 (with 134k miles on it) making 500whp (also on Dragtimes) on the system. Basically you're gonna pick up 25+ whp and tq. you never have to buy race gas or octane booster again. Ethanol burns cooler than gasoline, so engine and oil temps will drop dramatically (especially during track duty, or spirited drives). Tons of knock resistance built in to ethanol... its extremely hard to detonate on it. All around great fuel. Who is ready to take it to the next level?!? Last edited by DavesMeanE's; 01-25-2017 at 06:15 PM. So $1600 shipped and then $350 back for a net of $1250? How is the gas mileage when running e85? Good question - and it depends on how much ethanol percentage there is... lets just use 70% as an average - you'll prolly see a couple MPG drop, "IF" your driving habits stay the same... but as we ALL KNOW... once you get more power - you may have a tendency to use it more often. On the few test cars, we have seen lower MPG, but it doesn't translate into more fuel cost, because E85 is much cheaper than 93/91. I'm actually working on an install video at the moment. I can tell you that nothing needs to be removed, the foam insulators stay in place, etc. Once I have that up, I'll let you know! I will say the the controller is small (about 3"x4"x1"), and the harness is very attractive (in all the kits that are shipping there are no loose/exposed wires). Besides that it's just the ethanol sensor itself that you can see. Ok This looks great just a few questions. 2. What type of gain can be seen from that? 3. You said you made tweaks to the tune was this a custom dyno tune? 4. You guys offer an e85 v6 tune with headers correct? I'm assuming that's different then the tweaked tune your talking about. 5. The dyno charts where those just different pulls on same setup or was it diff tunes? 6. If I have an ethanol specific tune from you guys and there are variations in the actual content of e85 does the system account for that? 7. If I put 93 octane in the tank in a pinch and I don't have my flash loader to change from the e85 tune to 93 tune what will happen. It adjusts or detonation? 1. Yes, Absolutely! You can run the regular V.6 tune with headers and E85 If you watched videos that is exactly what this car is running... not even an E85 tune. 2. You should be over 500whp, every car is a little different. Dyno's can also vary... but 25+ whp is safe for me to say, as we have observed it on multiple M156 cars already. 4. The tune for E85 will essentially be the "tweaked tune" for the most part. For your specific application we recommend getting on a dyno and having Jerry dial it in. The you will have a turn key tune for your car and you'll never need (or want) to buy race gas again I can buy a 5 gallon pail of VP X98 (98% Ethanol) for about $40-45... how much are you spending on MS109 or Import ? 5. Dyno charts posted were the same exact car/hit/tune/everything. the only change was the correction factor. One was Uncorrected and the other was on Standard correction. Sometimes people are funny about dyno stuff, so I also took pictures with my phone, and included the DA for the folks in the room who care about that sort of thing. 6. The system adjusts fueling at the microsecond level based on the fuel that is entering the rail. So yes, any mix, any %... it will all be accounted for and adjusted. 7. My first thought on this one would be to think ahead, and don't get into that situation... but basically it would be the same as being on a tune for MS109 and having to fill up with 93... the great thing is that the system will account for the delivery to maintain the targeted AFR, so don't romp on it. same as you would want to do if you were on an MS109 tune. This car made 477whp on the following mods - Eurocharged V.6, ROW Airboxes, FlexKit (on about 70-75%). The great thing like you said is that cars with headers make more... and that's exactly it... the more power you have, the more you will get!! 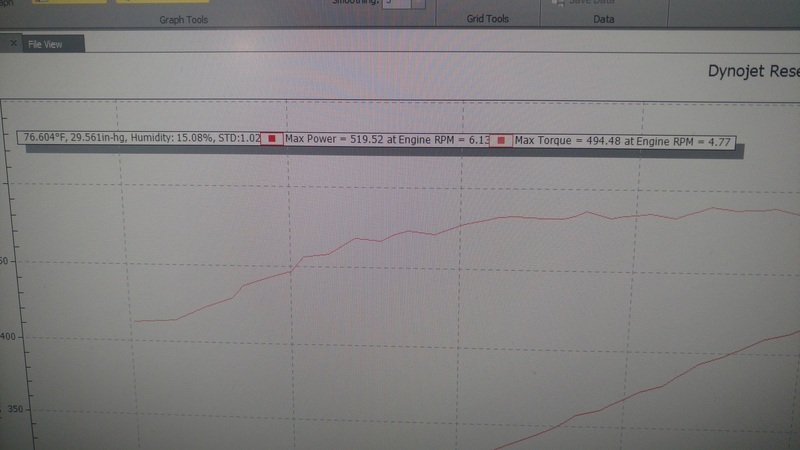 One of our E55's with the kit on it picked up more than 60whp... and is now out of fuel line at 604whp/658wtq! What if I all ready have 550 injectors? What's the price breakdown then? I'm curious about your setup? Why did you go to the 550cc? Wanna give me the rundown on your mods? Didn't get a PM... Send again? What are the stock injector cc's? Any issues with modifying the stock injectors long term? Good stuff Dave! I've ran e85 on all my vehicles and luv it. i don't like the gas mileage though. I have a question for warranty purposes. Lets say i have the flex fuel kit and need to take the car in for warranty work for some reason. If i flash it back to stock would it throw any CEL for the ported injector? Good question - we have run a stock tune on the 550cc cars, and had no issues. So I don't expect that you would have any issues either ECU has been able to adapt the PW to the larger size and run well. Also, can you please PM me on the details for the v5 tune? Do I just order your generic tune, or how does that work? I'm sure the altitude affects it.